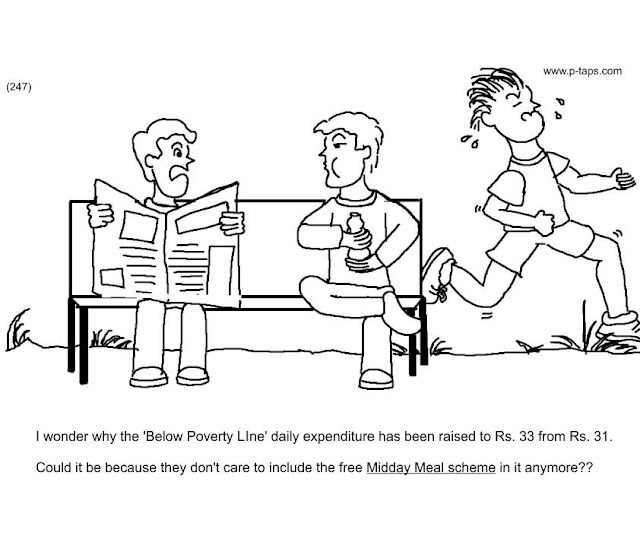 I wonder why the 'Below Poverty Line' daily expenditure has been raised to Rs. 33 from Rs. 31. Could it be because they don't care to include the free Midday Meal scheme in it anymore? ?